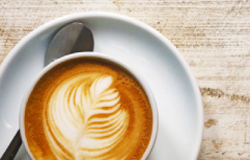 Try our signature Argentinian roasted coffee bean blends in an espresso, machiatto,cappuccino, latte, or even affogato-style over a scoop of vanilla gelato. 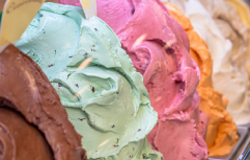 Our most popular gelato flavours are available by the pint or litre for you to take home to enjoy right from your freezer. Make a pot of Eva’s coffee at home, too. Choose from dark, medium and decaffeinated varieties sold in 500-gram bags. Place a custom order for a special-occassion gelato cake or pastries. 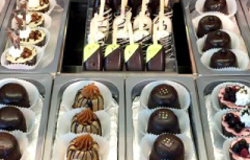 Stop in to see what’s in our dessert case and ready for you to take home or savour on the spot. Happy Valentine's Day! Click Skip The Dishes and send Eva's Gelato to your Valentine.